Shashi Throor’s so called would be secret wife is all exposed by badbola Lalit Modi, this time though he used twitter and not his mouth to spill the beans. Cat (Sunanda) is out of the bag now! The lady Sunanda who was going to be third wife of Shashi is not a spa owner, but a stakeholder in Kochi team. Shashi had asked Lalit to keep it a secret, but Lalit tweeted about it and boy…on right time! 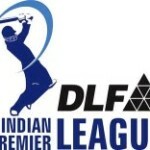 Lalit Modi, the Commissioner of the Indian Premier League, has tweeted details of the stakeholders in the new Kochi IPL team that was sold on March 21 for Rs 1530 crores. And it reveals that Sunanda Pushkar, a close associate of Tharoor’s, owns 18 per cent free equity of the franchise. One of the partners in the consortium is Rendezvous Sports World which was given 25 per cent of the franchise at no cost; of this 18 per cent, was gifted to Sunanda, the balance was divided among three other members of Rendezvous. Modi wrote on his Twitter page that the free equity holders in RSW(Rendezvous Sports World) include Kisan, Shailender and Pushpa Gaikwad, Sunanda Pushkar, Puja Gulati, Jayant Kotalwar, Vishnu Prasad and Sundip Agarwal. After naming Sunanda, Modi tweets that he was asked not to check the background of the controversial buyers. "I was told by him not to get into who owns Rendezvous, especially Sunanda. Why?" Modi says he will present a report on the issue to the IPL’s governing council later this month. Rendezvous however has responded to Modi’s tweets by saying that he’s violating confidentiality agreements about ownership of teams and that they will sue him. Actually, the Kochi franchise wants Modi to disclose the stake-holding pattern in other franchises like Rajasthan Royals and the Kings XI Punjab. RSW sources claimed that Modi was interested in having Ahmedabad as one of the franchises for the subsequent IPL seasons and was therefore creating problems for Kochi which emerged as the second highest bidder in the auction. 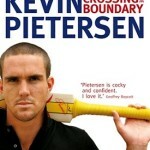 Kochi and Pune will be the two new teams from IPL 2011.